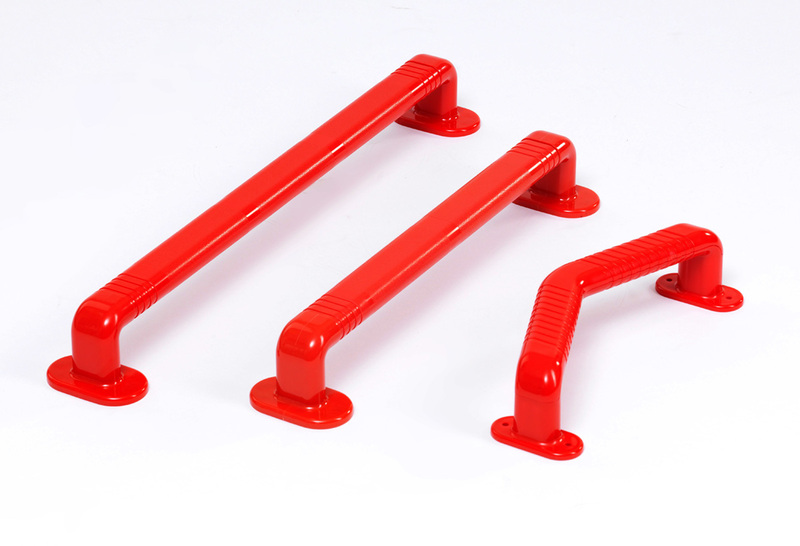 These high quality, tough plastic red grab rails have been designed to help those who are living with dementia. The red colour makes the grab rail easier for people with dementia to identify. The rails are non -slip even when wet and can be easily installed. They can be installed vertically or horizontally. Choice of styles available are 13" curved rail, 18" straight rail and 24" straight rail. Some people with dementia can find it difficult with their sight and can sometimes misinterpret the world around them. 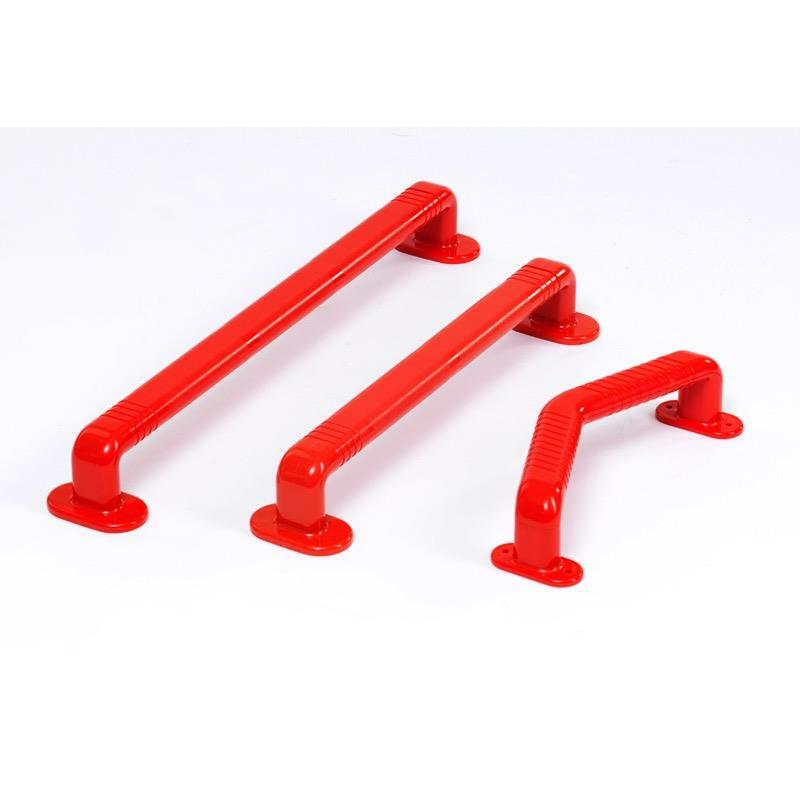 By using a bright colour such a red this can help highlight equipment such as these grab rails. These rails are not only bright red in colour but are also high quality and tough. The grab rails have a ribbed, textured finish to help with grip. Non slip - even when wet!